Only a week and a half is left for WWDC to happen and Apple iPhone PR team has started to invite foreign Journalist Teams. Today itechreport reported a Tweet from Australian technology editor Charlie Brown revealing that he had been invited to San Francisco on June 6th. If you are looking for the Tweet, so it has been removed now. Charlie said that he expected something big at the event to be announced by Apple. Apple has invited many journalists on WWDC, but this year they have sent invites to foreign journalists to come to WWDC. This time Apple has announced the time and day for WWDC. The time is 10:00 AM Pacific time and day is 6th June and the keynote speaker will be as usual Steven Paul Jobs. But we might not see him due to his bad Health. 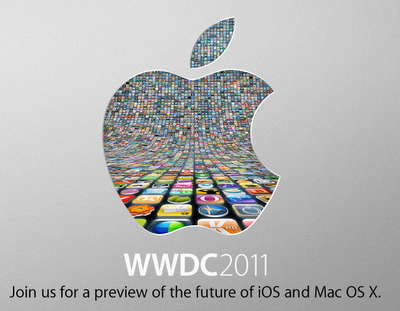 On this WWDC Apple will talk about future iOS and MAC OS X as shown in their WWDC Poster.